David wrote a song after God his Rock had delivered him from the hand of his enemies and from the hand of Saul, for he knew and served God completely and trusted in Him. 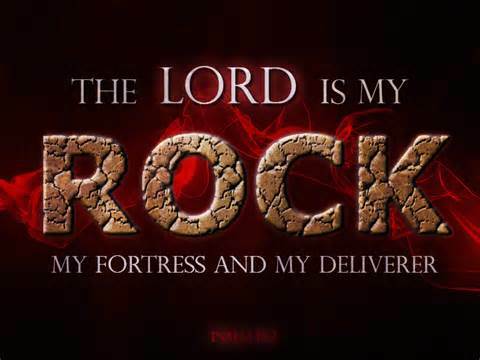 (2 Samuel 22:1-4) And David spake unto the Lord the words of this song in the day that the Lord had delivered him out of the hand of all his enemies, and out of the hand of Saul:And he said, The Lord is my rock, and my fortress, and my deliverer; The God of my rock; in him will I trust: he is my shield, and the horn of my salvation, my high tower, and my refuge, my saviour; thou savest me from violence. I will call on the Lord, who is worthy to be praised: so shall I be saved from mine enemies…… (Psalm 18). It is hard to believe that anyone could actually forget God, yet as in the days of old even today with new churches popping up and with different ways to believe in God they do not realize the difference of the God of the bible and the god of the people. (Deuteronomy 32:16-19). They provoked him to jealousy with strange gods, with abominations provoked they him to anger.They sacrificed unto devils, not to God; to gods whom they knew not, to new gods that came newly up, whom your fathers feared not. Of the Rock that begat thee thou art unmindful, and hast forgotten God that formed thee. And when the Lord saw it, he abhorred them, because of the provoking of his sons, and of his daughters. God says when things fall apart to consider our ways, and He says it is He who kills and makes alive or wounds and He heals for He alone renders vengeance and will reward those who hate Him. (Deuteronomy 32:35-41). To me belongeth vengeance and recompence; their foot shall slide in due time: for the day of their calamity is at hand, and the things that shall come upon them make haste. For the Lord shall judge his people, and repent himself for his servants, when he seeth that their power is gone, and there is none shut up, or left.And he shall say, Where are their gods, their rock in whom they trusted, Which did eat the fat of their sacrifices, and drank the wine of their drink offerings? let them rise up and help you, and be your protection. See now that I, even I, am he, and there is no god with me: I kill, and I make alive; I wound, and I heal: neither is there any that can deliver out of my hand. For I lift up my hand to heaven, and say, I live for ever. If I whet my glittering sword, and mine hand take hold on judgment; I will render vengeance to mine enemies, and will reward them that hate me. God is a very kind, loving, and merciful God and deserves to be reverenced, therefore let us not be ashamed to preach the gospel of hope that has been in trusted to us for the hope of all nation’s as He intended!